Some of the plants in my garden are, shall we say, poorly behaved, actually thuggish in some cases. I wonder at times why I haven’t pulled them out by their roots and tossed them to their greater reward in the compost bin. But then they do whatever it is they do that makes me like them again, and so I let them stay. Heliopsis ‘Loraine Sunshine’ self sows itself all over the garden and its offspring are more often than not just the plain species Heliopsis, which is a large plant that also self sows frequently. 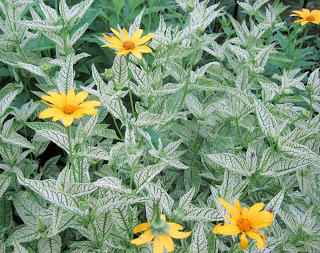 But ‘Loraine Sunshine’ has outstanding foliage... so I let it stay. 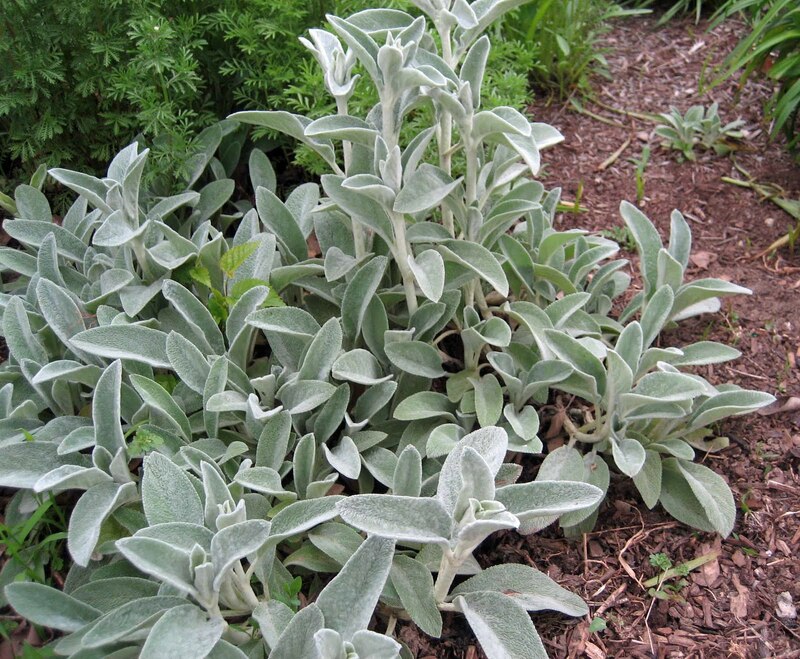 Lamb’s ear, Stachys byzantina, sends up the kind of flower stalks that flop over at the first sign of rain and become a big mess in the rain. It spreads slower than other members of the Mint family, but still spreads. 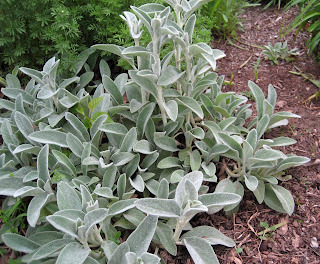 But Lamb’s ear is a decent enough ground cover if you trim off those flower stalks and it has interesting, soft leaves. I used to make bows out of those leaves and use them to decorate the birthday gifts of my nieces with summer birthdays. I know they remember them and and someday they might want me to make them a Lamb’s ear bow “for old time’s sake"... so I let it stay. 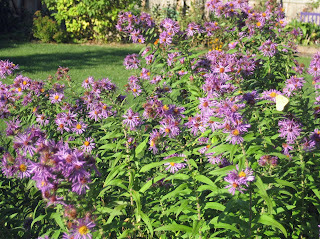 The Michaelmas daisies, shown here blooming in the fall, get all big and floppy and they like to self sow, too. But few other plants attract as many butterflies in September as these asters, plus this one is a passalong plant from my aunt and she said she got it from my Dad... so I let it stay. And on and on around my garden, I can point out the bad habits of many plants. But I can also point out what is good, sometimes so very good, about them, and why I put up with their sprawling, self sowing, splaying and other bad habits. No plant is perfect, nor are people. We have to take the good with the bad, otherwise our gardens would be bare and our lives lonely. Now if you’ll excuse me, I need to put on some old clothes and cut back the seedheads of the blue dog bane, Amsonia tabernaemontana. It has sprawled all over itself with this last rain, and its seedlings will be everywhere if I don’t cut those seedheads off. 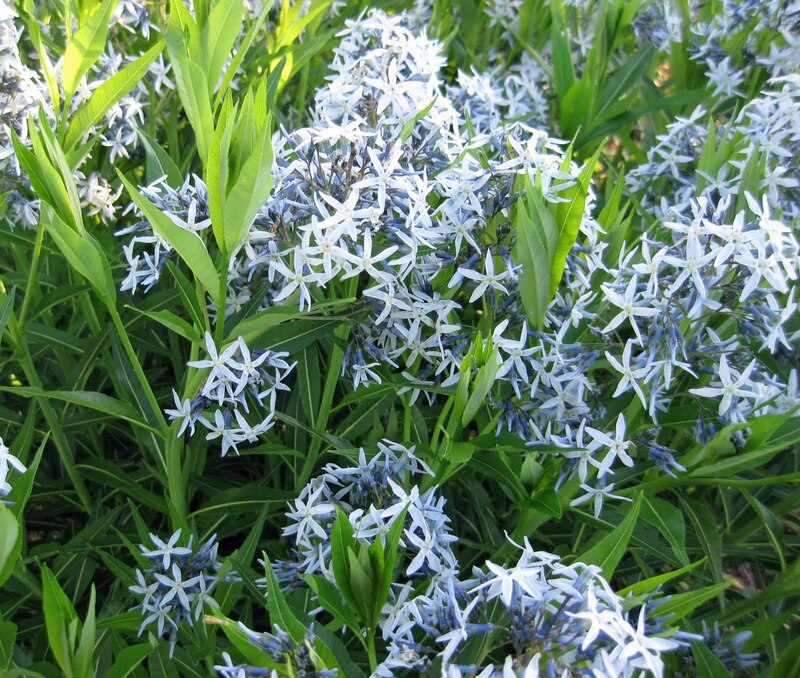 But I need to make sure I’m wearing really old clothes that I don’t mind getting spots on because Amsonia is full of a white sap that is as thick as Elmer’s glue and will stain everything it gets on and it will get on me when I trim those seedheads off. But goodness gracious, look at its pretty blue flowers! And so I let stay, too. 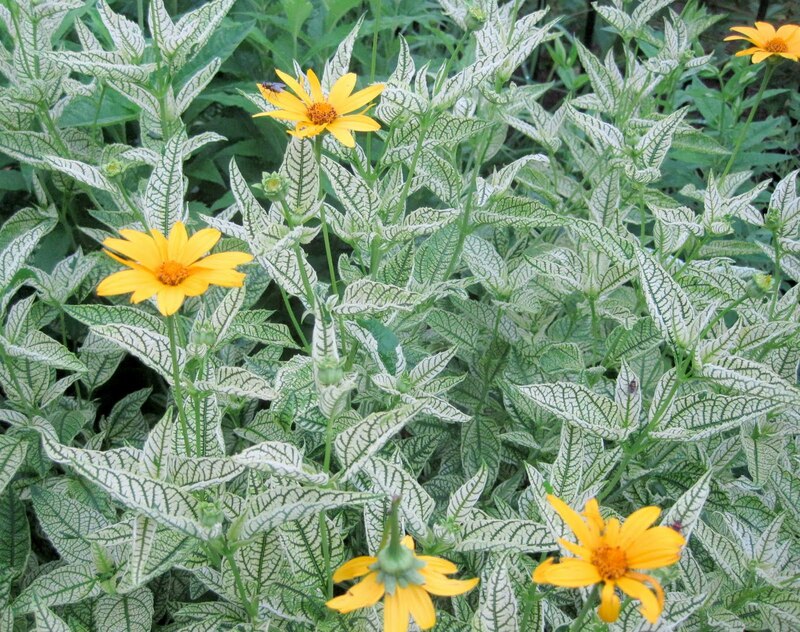 I wonder if Heliopsis can grow in my side of the world. Flowers looks like it might be family to the correopsis that grows here. I don't mind it being a weed here (I hope). I share many of those thoughts - and plants - and yes, I let them stay too. I seem to only add to my collection, not remove. With the exception of the Carex Pendula which I have been removing since 2006. This house came with a laburnum tree. Most of the year it's not attractive, especially with those seed pods hanging from it like tattered rags. It seeds itself all over the yard, too, but when it blooms, it is just a MASS of fragrant, hanging flowers like yellow wisteria. It stays. I always enjoy your posts. Columbine inserts it's self in every garden here. It self sows and then reverts back to the native form. 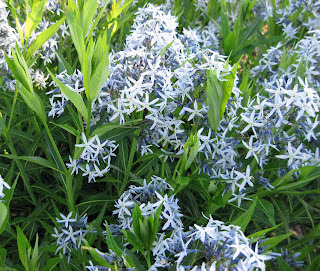 The Amsonia is too pretty to be discarded. I wish I could grow it here!